To know the history, activities, news, sermon,etc regarding St.Patrick's Church, do visit the House of Prayer for All Natons' website. For those of you who is in Kuala Lumpur, Subang Jaya, USJ, PJS, Bandar Sunway, Petaling Jaya, or other area, if you having hard time to find a church that really suitable for you, why not go to Faith Christian Centre in Bandar Sunway! If you visit the House of Prayer for All Nations web site, you probably found out that Faith Christian Centre is wholly supported by St. Patrick's Church, Sabah. 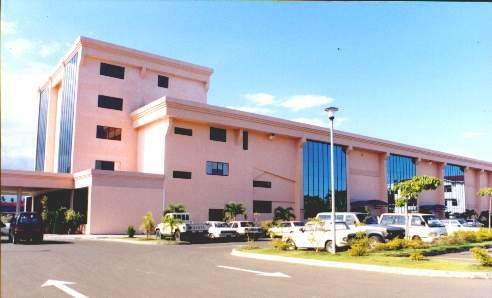 Faith Christian Centre have services in English, Chinese and BM. Senior Pastor for this church is Archdeacon Albert Vun and the Pastor-in-charge is Rev. Lin Khee Vun. "To build a Cell Church, strong in the power, love and discipline where every member is trained and mobilized to fulfill the Great Commission." For the first time, OCF had its first Easter camp from 3-6 April 2000. The camp was fun and unforgettable. 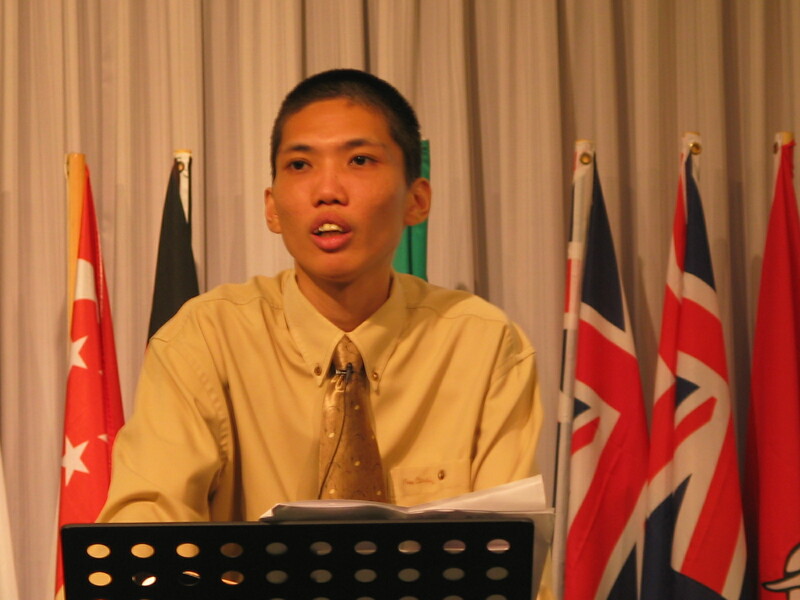 I believe, OCF is a place where most of the oversea Chrsitians will know God even more. So, don't hesitate to contact them and join them. If you are in England and Wales and you are interested in knowing more about God, please don't hesitate to ask anyone in the church about Alpha Course. Alpha Course is an opportunity to learn about Christian Faith over 4 evenings. A series of talks (mostly on video) which explain the basic beliefs of Christianity. If you need more information about Alpha Course, please have click here or email to them to <alpha.office.@htb.org.uk>. There is a Millennium Edition of booklets call 'Why Jesus', 'Why Christmas', 'Questions of Life','Searching Issues' and others which is available in every churches in the United Kingdom. If you would like to know more about Jesus and the meaning of life, do visit the web site or email them with any questions you have. Besides, you can also visit some christian links below. If you have not heard about the Four Spritual laws, do visit the web site! For Four Spiritual Laws in English , click here!!! For Four Spritual Laws in other languages, click here!! This is St. Paul's Church, Plaine Verte, Mauritius. This is a sister church of Diocese of Sabah. Back in the fifteenth century, in a tiny village near Nuremberg, Germany, lived a family with eighteen children. Eighteen! Last Easter (1999), I paid a visit to John Wesley's Chapel (The New Room) Broadmead, Bristol. Before I came to Bristol, a friend of mine told me about this Chapel. It is allocated in the City Centre. I passed by this Chapel at least 50 times now, but I never take any step to pay a visit of this Chapel until Friday the 14/5/1999. This Chapel is the first Methodist Chapel in the world. It was formed in the year 1739. John Wesley was a priet in the Church of England. He came to Bristol in 1739 and started preaching to the poor in the open air ( You can still see people preaching in the open air now a day). Wesley gathered those who responded into religious societies which met in people's homes. Within weeks their numbers had increased so much that a new meeting place was needed. He bought a small patch of land and built what he call ' our new room in the Horsefair'. It was used as a dispensary and schoolroom for the poor as well as meetings and worship. It is still known today by Methodists as 'the New Room'. 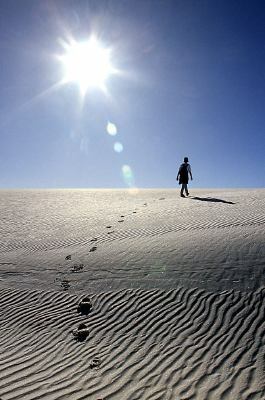 But I am aware that during the most troublesome time of my life there is only one set of footprints. He whispered, " My precious child, I love you and will never leave you, never, ever, during your trials and testing. When you saw only one set of footprints, it was then that I carried you.". May the blessing of God be with you always!!! If you have any testimonies or sharings, please do not hesitate to contact the webmaster. It is always good to share to others how God blessed you. All links are subject to their own website's regulations and terms.